Back in March, the truck driver of a Family Dollar tractor trailer fell asleep at the wheel near Liberty Heights Road in Baltimore County. The driver crashed his vehicle into a tanker truck and barely escaped before his own truck burst into flames. The Family Dollar driver suffered some injuries and the tanker truck driver suffered none- not all accident victims of drowsy driving are this lucky. In October 2014, a 21-year-old driver of a Chevrolet truck fell asleep at the wheel while driving on MD Rt. 234 in St. Mary’s County, unintentionally crossing over into the neighboring lane. Another car trying to avoid crashing into the sleeping driver was forced into oncoming traffic, resulting in his passenger being ejected from the car and killed at the scene of the crash. Every year, an estimated 6,000 fatal car accidents are caused by drowsy drivers according to the Center for Disease Control and Prevention (CDC). In 2013 alone, drowsy driving was responsible for at least 72,000 crashes and 44,000 injuries. The issue of driver fatigue has become a major safety concern on our roads and safety experts across the country believe the problem is far worse than the statistics show. Preventing the serious and fatal effects of drowsy driving would be easier if only a few groups were participating. However, the CDC reports 1 in 25 adult drivers (over the age of 18) have admitted to falling asleep while driving just within the previous 30 days! Another report by the Institute of Medicine shows 50 to 70 million Americans suffer from a sleep disorder that can hinder their daily functioning, adding another layer of complications when it comes to solving the issue of driver fatigue. Commercial truck drivers who operate tow trucks, tractor trailers, and buses. Drivers suffering from untreated sleep disorders. Shift workers who work overnights or extended shifts. Drivers using medications that have side effects of fatigue or are used to help encourage sleep. Drivers who drink alcohol before driving. Unfortunately, drowsy driving can happen to anyone and you don’t have to fit into one of these categories to cause an accident due to driver fatigue. When someone is driving aggressively, you can often spot them speeding or swerving through traffic from a mile away- drowsy drivers are not as predictable. Because fatigued motorists are constantly battling to stay awake, their driving behaviors may go from completely normal to extremely dangerous in just a matter of seconds. Frequent blinking, yawning, rubbing face to stay awake. Memory issues when it comes to previous miles traveled. Missing exits/sharp turns to avoid missing exits. Frequently hitting rumble strips on side of the road. Keeping an eye out for these warning signs will help you identify and avoid drowsy drivers on the road, as well as self-evaluate your own driving behavior to determine if you are putting others at risk. Driving while impaired by alcohol and driving while tired may not seem comparable, but in fact, they share a number of dangerous consequences. The National Sleep Foundation reports that sleep deprivation can have similar effects on the body as drinking alcohol when it comes to driving. 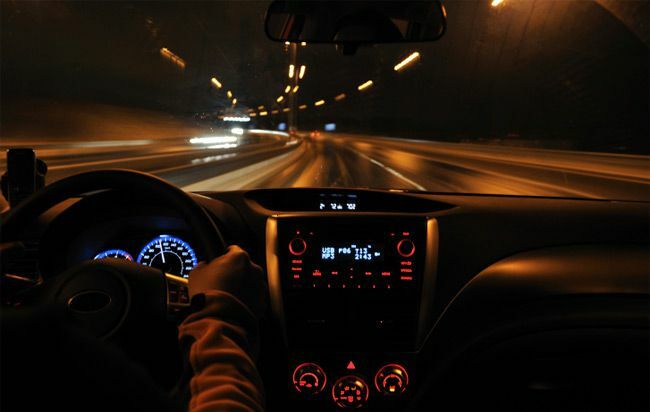 Researchers estimate that a driver who has stayed awake for 24 hours straight has many of the same driving impairments as a driver with a .10 blood alcohol level! Make sudden decisions on the road. Lack the ability to pay attention. Cause a driver to fall asleep at the wheel. Decrease depth perception and reaction times. Increase the chance of unnecessary breaking or swerving. 1 in 4 truck drivers admitted to falling asleep in the past month. Most truckers are averaging less than 5 hours of sleep per night. Truckers are reporting lack of sleep due to sleep apnea, long hours, drug use, sleep medication use or inability to sleep inside their sleep berths. Drowsy driving can be dangerous regardless of the which vehicle you operate, however, when it comes to commercial truck accidents, the severeness of injuries and risk of fatalities can be drastically increased due to the size and weight of these massive machines. Sleep regularly: This may be easier said than done, but getting enough sleep on a daily basis is a huge factor in preventing drowsy driving. Adults should be getting at least 7 hours of sleep a night and teens about 8 hours a night. Shift workers and other professionals who work long shifts may be interested in exploring a sleep guide to get on track to more efficient sleep. Plan ahead for long trips: Long car trips can be physically draining even though you aren’t moving around a lot. Make sure you are on a proper sleep schedule days before your trip to ensure you are rested up and ready to go. Avoid alcohol: Drinking within the legal limit can still cause you to drive unsafely if you are already exhausted. Try to avoid alcohol whenever you know you are driving and use ride-sharing apps or public transportation if you plan to have a drink. Monitor your medications: Some medications can cause fatigue even if they aren’t meant to. Never drive immediately after taking a new medication or if you are taking sleeping medication to promote sleep. Use alert systems: The Sleep Help Institute recommends using alert systems, particularly for truck drivers, to help determine when you may be too tired to drive. These alert systems offer blue tooth options to make sure you are properly monitored and will even keep track of biorhythms overtime. Pull over: If you become drowsy while driving, pull over someplace safe for a rest. Taking a 15 to 20 minutes nap can help you to recharge but switching drivers when possible is usually the safer choice. Get your sleep evaluated: If you find you are unable to get enough sleep despite your many efforts, you may want to consider talking to a doctor to evaluate your sleeping patterns for the cause of your sleep deprivation. Drowsy driving is 100% preventable. Vehicle injuries and fatalities caused by driver fatigue are completely unnecessary and life-changing for all individuals involved. If you or a loved has been injured in a vehicle accident due to the negligence of someone else, call D’Amore Law for justice. Our winning team of personal injury attorneys will evaluate your case during a free consultation and review all of the options available for seeking the compensation you deserve for damages suffered.